we did not come here as just flesh and blood. We bring with us a legacy of the past – our rich cultural heritage let alone the pains and sufferings we had to undergo in Bhutan. 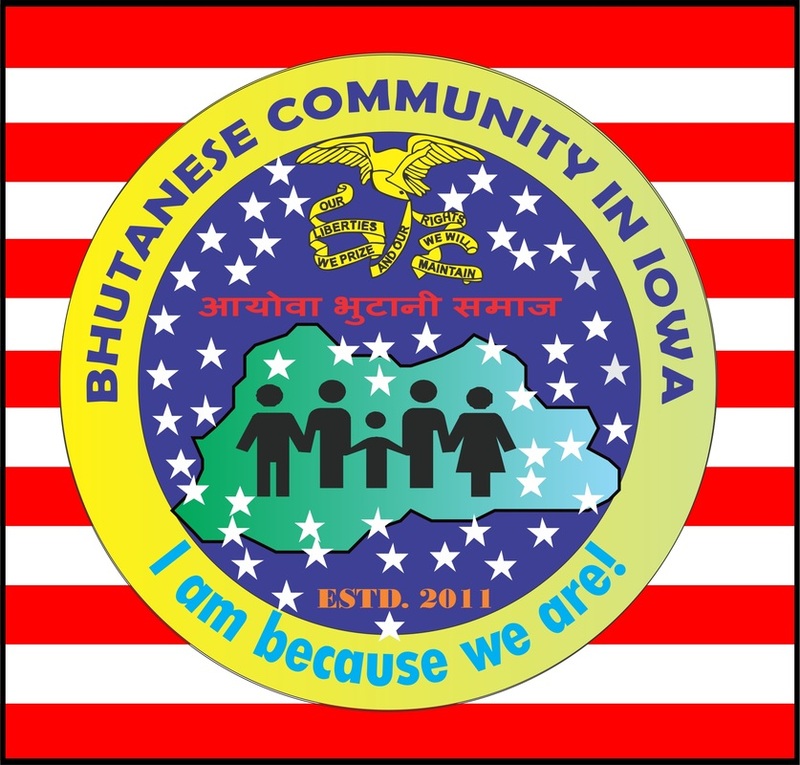 The Bhutanese Community in Iowa is a natural outcome of the need and aspirations of thousands of Bhutanese who came to inhabit this great land of Iowa. You become dedicated Iowans or for that matter the citizens of the United States not by just living here but by adhering to the principles of rule of law and contributing to the composite development of the nation. It is understandable that we did not come here as just flesh and blood. We bring with us a legacy of the past – our rich cultural heritage let alone the pains and sufferings we had to undergo in Bhutan. We Bhutanese are among the most fortunate people for now we have a land which we are a part of. This opportunity to blossom the way we like is like a gift eternal reserved for our well-being. We told the Drukpa rulers in Bhutan – 'A cowl does not make a monk’. But the racist regime stripped off our cultural dress and imposed their so called national dress with hatred and disdain. This is an open book for the world to see and this too in the 21st century. It is strongly felt that the world assess the situation in Bhutan in the nineties and condemn its wrong doings in the loudest tone possible. The editors of The BCI Journal calls upon all Bhutanese in Iowa to take advantage of its proposed plan of action and join hands for the achievement of social harmony, peace and well-being. ​It is with great honor and pride that I am writing this message of support for Bhutanese Community in Iowa. The world is on the move, bringing diverse people to U.S. communities. 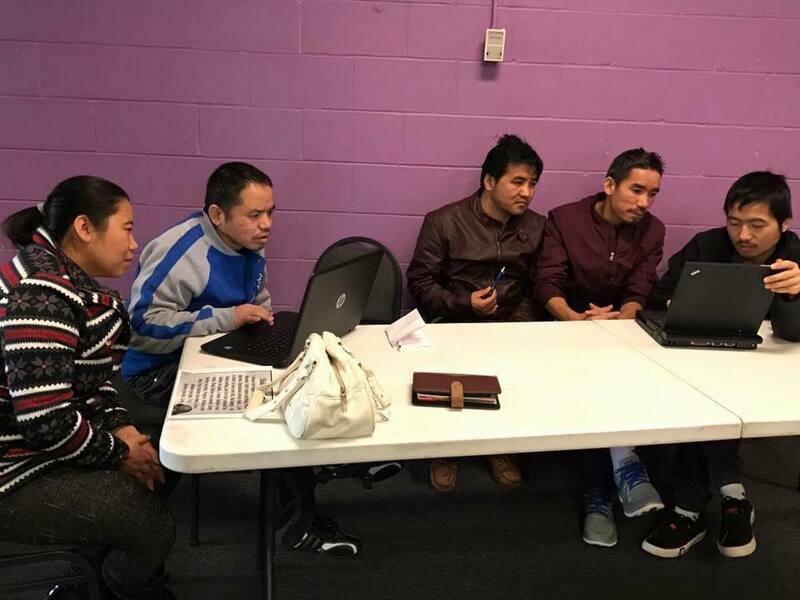 Global migration provides opportunity to local communities to welcome new talents but also to new communities to introduce their values, visions and goals. I wish the Bhutanese Community of Iowa all the best in your future endeavors hoping that you will live and work honoring the values of humanity, understanding and respect. 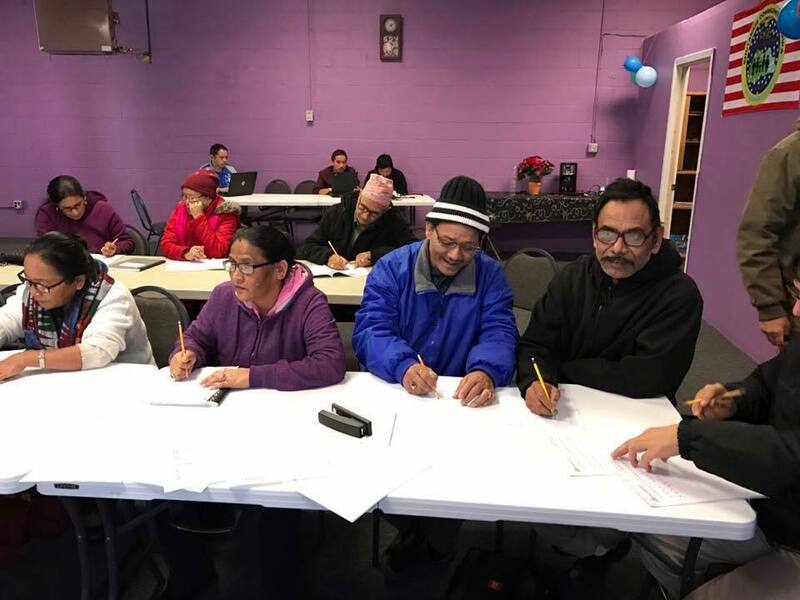 ​In what came about as a great sigh of relief, the Bhutanese Community in Iowa finally acquired its new office building after years of struggle. Amid a grand function which took place on the 15th of January 2017, the celebration was attended by members of the BCI and hosts of other guests and well-wishers. The opening ribbon was jointly let loose by Sanjita Pradhan, the Chief guest and NB Gurung the Chairman for the occasion. While Ms Pradhan is associated with the federal government’s affairs for the Pacific and Islanders, Mr. Gurung is the President of the BCI. The Master of Ceremony, Mr. Tilak Bahadur Gurung, invited members and guests to express their opinion on the occasion the most pertinent of which were the cultural leaders who also function in the capacity of sister organizations of the BCI. 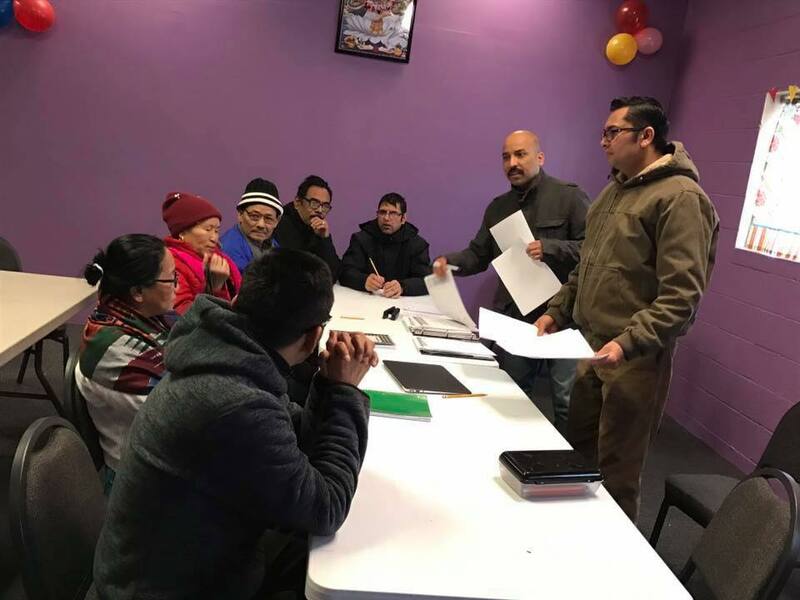 Speaking on the occasion were Tika Bhandari, the vice President of the Bhutanese Hindu in Iowa, Kamal Gurung of the BABSI, Buddhiman Gajmer of the Ray of Hope Incorporation [Christian] and Hari Subba from the Kirat Society of Iowa. All these leaders were unanimous in applauding the work of BCI and pledged their continued support for this great work of the community. The inaugural function concluded with a note from the chief guest that community is the core of our daily life and the activities like the one the BCI is contemplating will go a long way in bringing about equality, harmony and peace in the society. 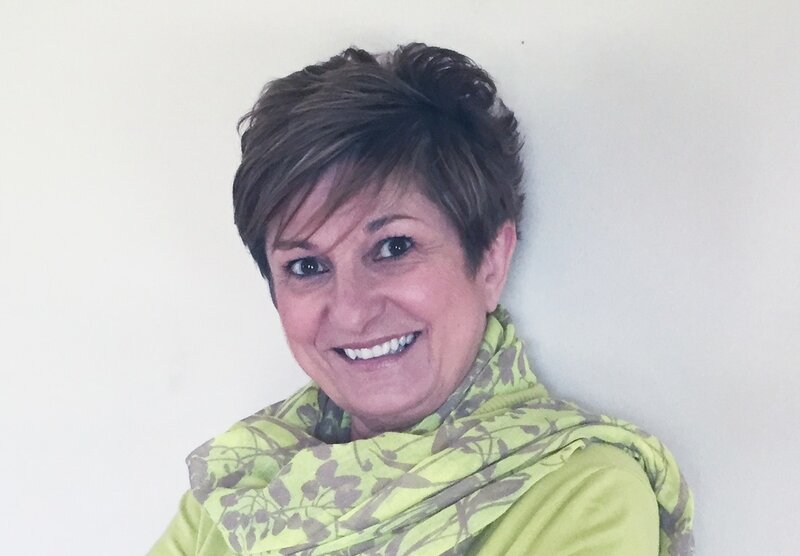 The BCI President took the opportunity to stress on the present needs of the organization and help to steer the boat ahead. He then thanked everybody for coming in and making the event a success. Bhutanese Language and Cultural Enrichment Program. Each of these projects will be piloted with select group of clients for two months. The projects will be fully operational from the first week of March 2017. Benefit Applications – Food Stamps, SSI, Medicaid. ​The Bhutanese Hindu in Iowa [BHI] the representation of which forms one of the core of the BCI, observed a day-long colourful saraswoti puja celebration on January 29, 2017. Held at the BCI office hall, the portrait of Saraswoti mata was a sight for everybody to see. Hindus regard Goddess Saraswoti as the bestower of knowledge and wisdom. The puja is performed with a hope that the Goddess will lift all humanity from ignorance and help attain peace, knowledge and happiness. The day began with lighting of the lamps followed by individual offering of prayers. There were chantings by the Hindu priests for almost throughout the function. The devotees received Tika from the priest and joined in the traditional singing of the hymns in praise of the deity. Speaking on the occasion, Ms Tika Bhandari, the Vice President of the BHI reiterated her belief that Goddess Saraswoti will surely shower her choicest blessings on all of us. She explained that it has been our culture to dedicate this day to Goddess Saraswoti and we would continue it to eternity. The Board members of the BCI were present to participate in this important social function. NB Gurung spoke on the need to protect and promote of rich cultural heritage. ​My name is Dilip Bishwo. I used to be a simple teacher with simple thoughts and simple dreams. I used to teach in Bhur Primary School which was about 8 kilometres from my hometown of Toribari both in south Bhutan. During the Dasehra festival, myself, my wife and my parents were trudging on a hot sunny day from Toribari to Chuwabari some 4 kilometres to our relative’s place to celebrate our festival. We were hoping somebody would give us a ride. Suddenly a white hylux van stopped in front of us. To my surprise the person seated on the front seat was no other than the Dzongdah or the chief district officer. He scolded me left and right saying you must wear the goh all the time , the northern Bhutanese dress unsuitable for the hot southern Bhutanese weather. He warned me that there is only one place to go – that is the jail. I was wearing cotton pants with a jeans jacket and on the same day about an hour earlier one of my other teacher friend in Leopani was similarly apprehended and warning given. He was wearing daura sural as it was our festival day. As the school resumed after the holidays, serious order from the district education office awaited me. It was a letter wherein the officer had outlined the policies of the government requiring all to wear the so called national dress. He instructed me that I was found wearing the dawra sural in the lateral road by reliable sources. Through the letter he asked me to submit a written explanation immediately. With a heavy heart I wrote the explanation saying I was not aware of the regulation. A copy of the original letter is hereby reproduced for all to see. The rest of the population too fell an easy prey to this sinister design of the royal government of Bhutan. Things seemed to move on but I could see people looking at me with suspicious eyes. Then the district office resorted to other ways of punishing me. Using the influence of some northern Bhutanese teachers, they started pestering me to go on a transfer. Consequently, I was transferred to Kheng Goshing school which was officially 8 days walk in the remotest part of the country. I was pained when I had to go leaving my wife and two months old son behind. I could not bear this torture of family separation. After 15 days, I left Goshing quietly and joined my wife and kid in Sibsoo – my in-laws place.